Keyword Research SEO Tool Review | Step Up Your SEO! Every ‘Internet Marketer’ should have a quality Keyword Research SEO Tool. It not only will make your life easier but will make your more effective when doing the keyword research needed to successfully market online. So many times I’ve heard fellow marketers say that they use the Google keyword research tool that is available in Adwords. And that is definitely a free option, but it has it’s downsides. My biggest complaint with Google Adwords and it’s keyword planner tool is that it is so inconvenient to use. It’s completely scary to a newbie and from the surface level appears to take a ‘techie’ to figure it out. 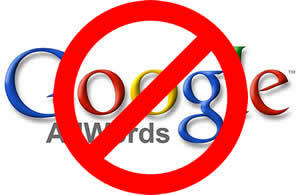 Google’s keyword tool is only available through their Adwords paid marketing platform. 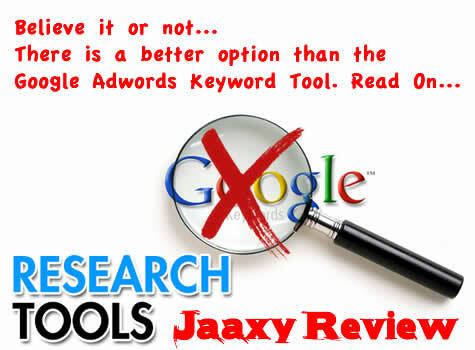 Jaaxy is built specifically for keyword research, it’s easy to access and it’s user friendly. When a newbie logs into Adwords for the first time, you are prompted to enter your payment info for advertising (even if you don’t want to advertise.) Jaaxy has a free trial you can use before subscribing to the platform at the PRO level for $19.99. Once your Adwords account is established, you have to click through 4-5 menus to get your keyword research results. With Jaaxy it’s less time consuming and the tool is on page one. So as you can see I have some powerful reasons to like the Jaaxy Keyword Research SEO Tool more than Google Adwords. Google Adwords is rather difficult for the newbie to pick up and use. This has been painfully obvious to me as coach I teach people keyword research for ecommerce to my coaching clients. I’ve traditionally taught how to use the Google Keyword Tool, but I found that most people have stumbled around the awkward interface. This led me to seek out Jaaxy, which has been much easier for everyone! Monthly Search Volume: The number of global searches per month for this keyword term. Estimated Traffic: The amount of search volume traffic you can expect to receive if your web page ranks in the top ten of Google for the keyword term. QSR (Quoted Search Results): This is the number of websites online ranking and competing for the keyword term. KQI (Keyword Quality Indicator): This will be Green, Yellow or Red according to how effective this keyword will be to pursue. It’s a quick and convenient visual indicator. To Do: You can add your keywords of interest to a ‘To Do’ list for further planning. Related Keywords: Looking for more keyword ideas? Look no further than here! Site Rank Tab: You can check any websites rank for a keyword. 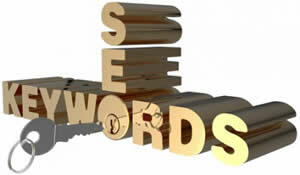 Website SERPS Tab: The search results for a given keyword in the 3 major search engines: Google, Bing & Yahoo. Affiliate Programs Tab: Affiliate programs available online in relation to a keyword. Brainstorm Tab: This is where you can keep a list of keywords but also get some useful data from Jaaxy like: Google Hot Trends, Yahoo Index Movers, Alexa Hot Topics, Amazon.com Best Sellers & Twitter Trends. So you are probably wondering what makes me ‘sold’ on this keyword research platform other than everything I mentioned above. Let me give you a couple of solid examples of how Jaaxy has benefited me in a big way. Ecommerce: I sell things online, and it really helps to have good keyword research data to rely upon. Choosing the right keyword to target for an item you are selling online, can mean the difference between making a ton of sales, making a few sales or making no sales at all. I have found through over a months use, that Jaaxy is providing me with keyword data that is helping me make better choices and get more sales. Ability To Find ‘Keyword Rich’ Domains: Jaaxy makes it so easy to dig through keywords and then see what domains are available for purchase. I have already purchased two domains for my business with the help of this keyword research tool. One of these domains I will likely sell for quite a lot of money some years down the road, and the other one I’m going to use the traffic it’s already getting towards a highly targeted marketing effort. SEO Made Easy: Half the battle in search engine optimization is finding the right keywords to go for. With Jaaxy this process is simplified down to a level where a ‘non-techie’ can figure it out. It’s the most user friendly keyword research seo tool I’ve ever used! It’s A Time Saver: I am saving so much time since I stopped using Google Adwords for keyword research. Jaaxy makes researching your keywords a snap and even gives you the ability to be organized about it. Organization and efficiency equal time saved! I personally use the PRO level subscription which cost a mere $19.99 per month and gives me unlimited research ability. But first I checked out the free trial and I invite you to do so also! Of course the best way for you to see firsthand just how valuable Jaaxy can be to your business, is to give it a shot! Hello my friend! It's been a minute, but I thought you'd find this article very interesting so just forwarding the info along to you. 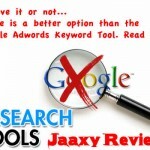 The article is called Keyword Research SEO Tool Review: Jaaxyand is located athttps://www.meetcalebwright.com/network-marketing/keyword-research-seo-tool/. Let me know what you think! If you are looking for an easy to use Keyword Platform this is it. A must for any Marketer! Thank you for the feedback Gary! Thank You very much for sharing this with me Caleb, very much appreciated.